Say goodbye to blemishes with birthmark blemishes Treatment treatment that targets the birthmarks and pigmentation leaving them barely visible in the Clinic of Prof. Dr. Ikram Ullah Khan. 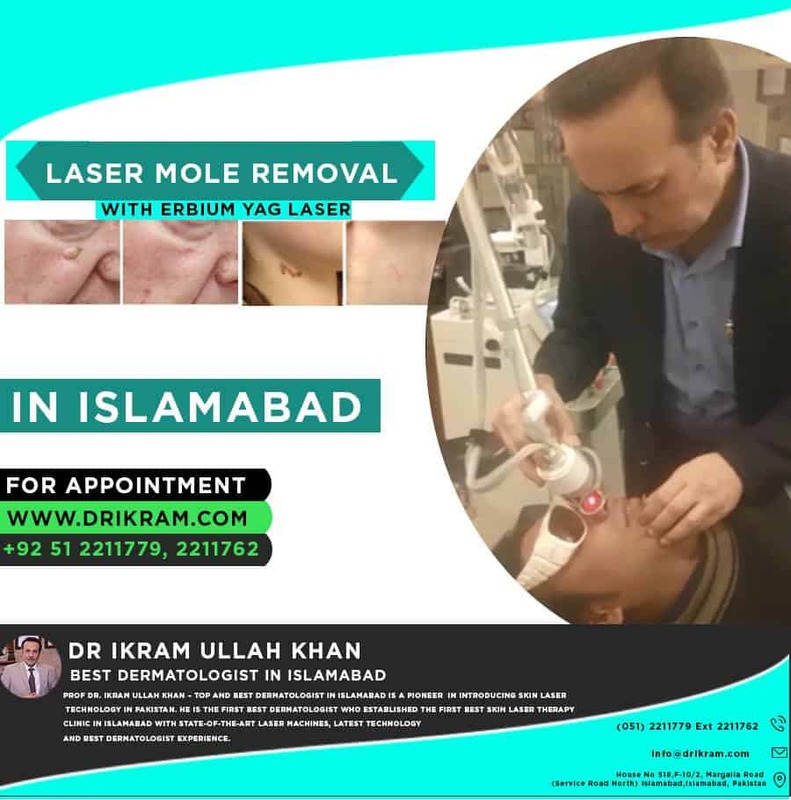 He is the best dermatologist Islamabad, also the Best Skin specialist due to the most expert consultant and the most senior Skin Doctor. What types of skin discoloration are therefore treatable using a laser? birthmark blemishes Treatment: These blemishes, including birthmarks, port wine stains, rosacea, and spider veins are a result of abnormal blood vessels. Benign pigmented lesions. These are due to a concentration of natural pigmentation, as in melasma, freckles, age spots, and sun spots. How does the laser remove skin discolorations? For a vascular lesion and birthmark blemishes Treatment the laser light’s heat will seal and shrink the precise blood vessels of the blemish. Over time, the body’s natural processes will heal the area with fewer vessels and a more normal color. Complete removal cannot achieved In cases of large or very dark blemishes. The birthmark blemishes Treatment, pigmented lesions and tattoos is slightly different. Short, concentrated beams of light penetrate the skin’s surface and deeper cells absorb the containing the natural pigment or tattoo ink. These cells will rupture and release the pigment or ink then body remove it. It should note that not all ink colors in a tattoo respond the same laser treatment. Darker colors have the best results, but lighter colors seem to respond poorly. What can we expect from laser treatment? The use of lasers on the skin is safe and comfortable, however, sometime a local anesthetic is given to ensure the patient is comfortable otherwise Treatment tends to be certainly more painful when applied to vascular and larger lesions. There are a few side effects that occur with laser treatment, and vary by patient. It will leave a discoloration of the area treated, a darkening or lightening depending on the type of blemish, but it is only temporary. the skin, therefore recovery is quicker. Birthmark blemishes Treatment is very effective to improve texture and pore size and eliminate brown spots, dis-pigmentation and mottled skin. That is the best recommended treatment for the facial lines that are deeper and it is excellent for older skin. This can use to give hands a more youthful appearance. FDA Cleared this laser for the treatment of acne scars and surgical scars. There can be redness and swelling and subsequent treatments can give rise to for example dryness, peeling or flaking. But these conditions resolve spontaneously.